B. Thomas (Arlington, Texas, United States) on 10 January 2019 in Lifestyle & Culture. 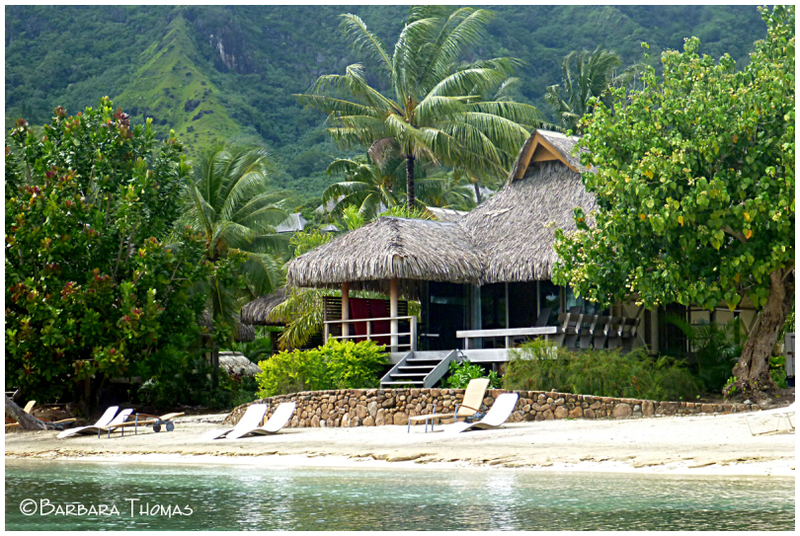 This was our beach bungalow located on a white-sand beach next to the lagoon with a private sundeck. The funny thing to me was that it had a TV. Really, in the Islands of Tahiti with all there was to see and do, who would ever turn on a TV?! Some holidays would be now a good idea, I think. Nice image! The stuff of dreams . . very inviting. A trip program was on air on TV ? Maybe trip to Alaska ! A place I would love to be. Excellent image. wow..this is a dream bungalow !! Paradise ? Yes . Very beautiful !! Sadly there are people who don’t know how to do without television...! A nice place / house to celebrate a holiday. You had an impressive beach front cottage for sure., I agree a tv seems out of place. This just looks so tranquil and inviting. A beautiful image. I agree, who needs a TV! A charming looking place. The location must have been perfect.